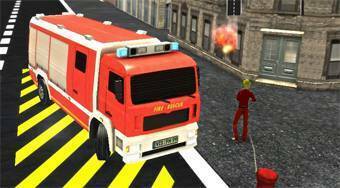 Do you like Firetruck Emergency? Share it with your friends. Firetruck Emergency - park with a fire truck next to hydrants beside the raging fires.